In today’s race for container supremacy, in a fast-paced, constantly evolving, ever-progressing and growing industry, the vendor that innovates fastest wins. 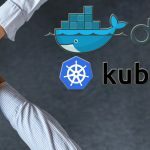 Although Docker Swarm has lost the race to Kubernetes as the primary container orchestration tool, Docker is relentlessly out to prove yet again its importance to the container ecosystem. Their latest effort is to announce a major new feature update to Docker Enterprise Edition called Federated Application Management. They made the announcement at DockerCon in June. Docker refuses to be daunted by Kubernetes taking over and is looking to stay afloat in the container race by playing nicely with the rest of the ecosystem. Docker’s hope is that users will look to Docker as the best place to manage containers no matter where they run. Docker has been undoing the opinionated approach it took when it launched Swarm, originally planning it to be tightly integrated with just Docker’s own system. This was frowned upon by the industry that is averse to vendor lock-in. On the other hand, the rise of Kubernetes and its parent committee the CNCF (Cloud-Native Computing Foundation) was welcomed because of its vendor-agnostic take on container orchestration. Since then, it’s been important for Docker to shed the image of becoming the Apple of containers — at least in terms of tight control of the ecosystem. Docker has since been trying hard to woo developers by taking a more open and vendor-neutral approach. This led to the announcement of Moby Project — an open source container framework. However, Moby Project was never meant to be a threat to Kubernetes as it would only be used by system architects, not developers. Docker also open-sourced containerd, a container runtime that is the industry standard. While all this was setting in place the plumbing for the container ecosystem, this year, Docker is promoting its Enterprise Edition straight on in what is its most direct pitch to the enterprise yet. This, of course, comes at the end of an eventful year in terms of organizational change for Docker. They’ve had a change of CEO from Ben Golub to Steve Singh. The purpose of this CEO switch is to make Docker profitable, and a stronger candidate for an eventual IPO. Not just this, Docker’s co-founder and CTO, Solomon Hykes, quit the organization just a couple of months earlier hinting at his discomfort with all of the change that has been happening around him as Docker grows up from the small upstart to being a large IT vendor. It’s in this backdrop of change, growth, and a bit of uncertainty that Docker’s recent announcement should be viewed. It is undoubtedly a push to take the company down the road they’ve been on for some time now — focus on building a profitable company, not just releasing cool new open source tools. This latest release enables new capabilities for Docker Enterprise Edition and is a notable contribution to the container ecosystem. It aims to make easy the deployment and management of containers at scale. 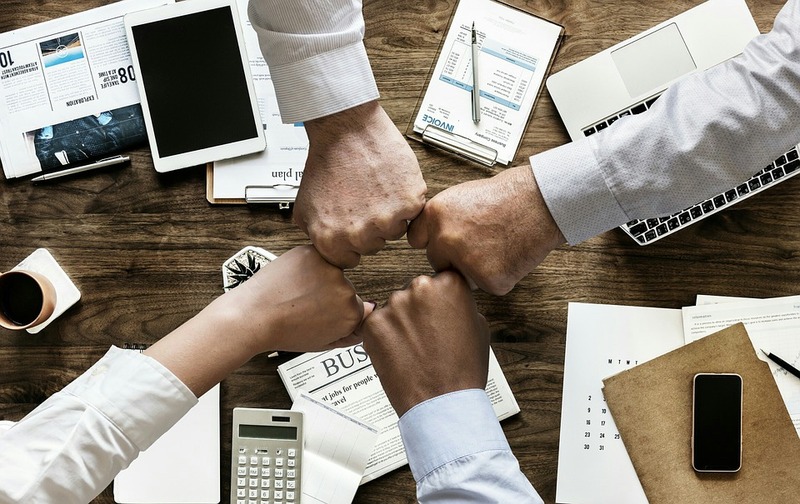 It is aimed squarely at large enterprises that run containers across multiple cloud platforms and on-premises environments by reducing operational and administrative tasks for their operations teams. What is Federated Application Management? Going by the dictionary, the word “federate” implies forming “a single centralized unit” from where multiple independent components can be governed. On the same lines, Federated Application Management, the new management capability available in Docker Enterprise Edition, allows organizations to govern separate applications on different platforms through a single management plane, right from within Docker Enterprise Edition. This means organizations can now manage environments deployed on-premises and in the cloud as well as across multiple cloud-hosted Kubernetes platforms like Azure Kubernetes Service (AKS), AWS Elastic Container Service for Kubernetes (EKS), and Google Kubernetes Engine (GKE). It allows IT operations see all the applications running in various environments in a single view. This feature also brings improved productivity as it enables automated deployment, migration, and replication for applications. In addition to this, the new federation feature provides the ability to centrally set rules for all of a company’s container deployments enforcing uniform security policies across fragmented environments. Docker Enterprise Edition is the only enterprise-ready container platform that can offer and deliver Federated Application Management across various container environments with a secure supply chain. It aims at offering solutions to organizations that choose containers as their default application format. It has become integral to be able to manage and have easier control of your applications from a single platform and Docker Enterprise Edition through Federated Application Management enables this. A majority of today’s enterprises have a hybrid or multicloud strategy and adopt containerization to make applications more portable. Although containerization ensures portability, it presents its own set of challenges when deploying across various container environments. Each cloud is managed under a separate operational model, so operation teams have to duplicate efforts each time they are deploying their app on different clouds. Now each of these clouds has its own security and access policies. With container management also comes the hassle of having to distribute and track content across the varied platforms uniformly and compliantly. Docker Enterprise Edition gives you the answer to this problem with the Federated Application Management feature. Federated Application Management now makes it easier for the operations team by simply allowing them to onboard the selected clusters on Docker Enterprise Edition and from here, Docker simplifies managing these clusters. It integrates these clusters by bringing the existing policies across all platforms together, thereby eliminating the efforts that would go into having to define all of the security, access controls and policies for each cloud individually. Another key problem the Federated Application Management feature solves is how easy it makes the migration, replication, and deployment of applications across locations. Once the integration is complete on Docker Enterprise Edition, the teams can now view and manage their application though a single panel. Companies often find the need to migrate their applications to new locations temporarily or permanently for a variety of reasons. This can be easily executed through Docker Enterprise Edition now. The teams have to simply view their application portfolio, select the application they wish to migrate and select a connected cluster to serve as their new location. Federated Application Management ensures that a clone is created at the new destination while the old application is disabled and traffic is rerouted to the new location while ensuring complete compliance of all governing policies and access controls. Similarly, replication of apps has been made simpler. In this case, the original application is not shut down; instead clones are created at the desired locations and traffic is evenly distributed. Docker also takes pride in its security offering while ensuring application federation. Docker Enterprise Edition secures control of an organization’s applications and the ability to audit every step in the application delivery process. Docker EE includes Docker Trusted Registry, a centralized and federated source of truth for content of enterprise-grade image management and integrated security policies across clouds. Federated Application Management is what is going to allow customers to now think about their containerization strategy across cloud providers. This provides a solution to customers seeking to scale large. As they scale up and as they deploy more and more containers they add more and more clusters. Now you’d expect that these clusters will be geographically distributed across different availability zones of cloud vendors. Whether it’s multiple regions like EMEA, APAC, or the U.S. Southwest, it’s important to keep track of clusters that are being deployed and managed by teams across different geolocations. Docker has introduced yet another innovative solution in container orchestration. Their relentless spirit to keep innovating and provide solutions to ensure easier and secure development and management of containerized applications is commendable. Docker Enterprise Edition is coming of age and is uniquely positioned to deliver application federation by treating the enterprise’s entire portfolio uniformly across all environments. The whole point of this is to offer choice, security, and agility. Is this enough to woo customers away from Kubernetes and into the Docker fold? We’ll just have to wait and watch to find out if this move comes a year too late, or if it’s just the right time for Docker to stop the runaway Kubernetes train.